Suma wholefoods, one of our well-known and much-loved brands, have in the past few months launched brand new coconut products. You’ll have seen them in our most recent Spring/Summer Catalogue (pg.71) – Organic Creamed Coconut and Organic Coconut Milk. 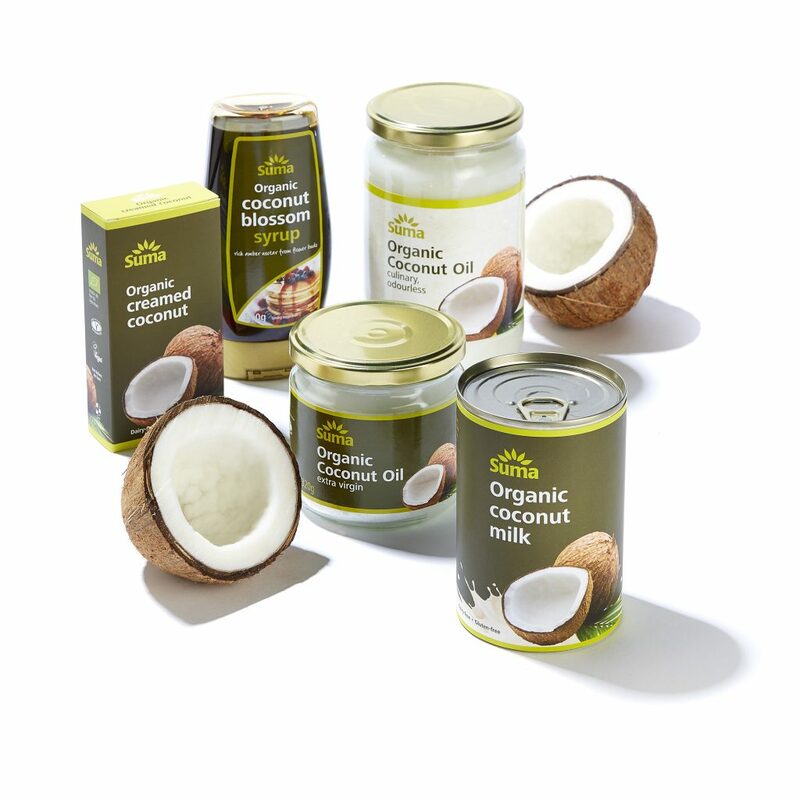 Get cooking and baking, adding an exotic twist to meals or simply ditching the dairy content with these brand new coconut products. The Suma Organic Coconut Milk is great for everyday meals, while the Organic Creamed Coconut adds a velvety richness to curries and soups. To make these products, Suma sources coconuts from an organic farming co-operative in Sri Lanka, who yield around 5 million coconuts each year! Buying direct from these co-operatives allows the farmers to invest back into their local communities, ensuring there is access to education, health care and other everyday necessities we tend to take for granted. Not only is this great for the farming communities, it is also great for the environment and you! Organic farming uses eco-friendly processed and ensures chemical pesticides are not used, this means no chemicals released into the air, and no residues in the product – win-win! Let us know if you’ve been using Suma Wholefood’s new coconut products? Why not take a picture of your recipes and tag us on facebook or instagram! Previous story Are you disposing of your tampons correctly?